(Photo: Novelist Ken Kesey at right with unidentified man). In spite of Kesey’s notoriety and reputation as a novelist of stature, the authorities viewed him as a menace to society. 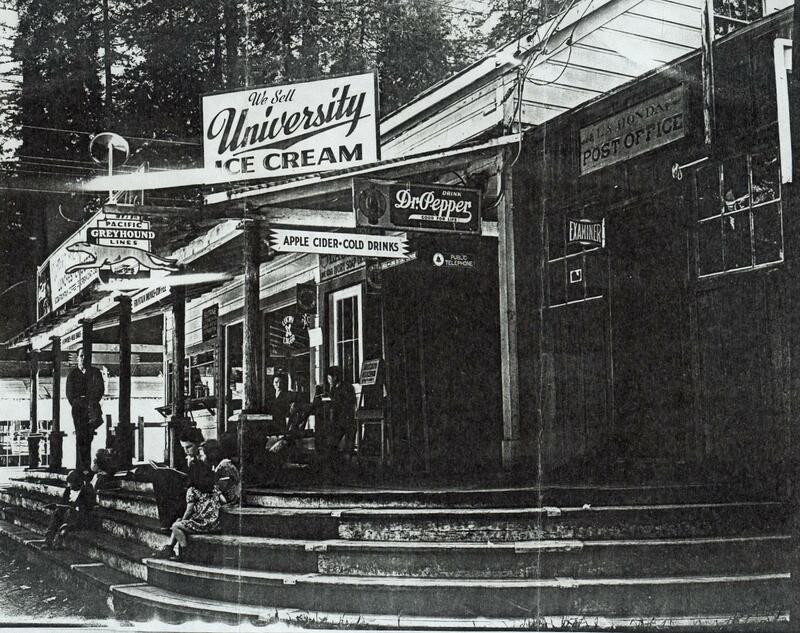 In April 1965, San Mateo County sheriff’s officials, a police dog and a state narcotics agent raided Kesey’s five-room rustic cabin in La Honda. Kesey and some 14 others in the cabin at the time were arrested on marijuana charges. Soon after, Kesey was again arrested on similar charges in San Francisco and fled. But after being a fugitive for eight months, Kesey returned from Mexico to the Bay Area–and in a melodramatic scene on the Bayshore Freeway near Candlestick Park he was captured by FBI agents. 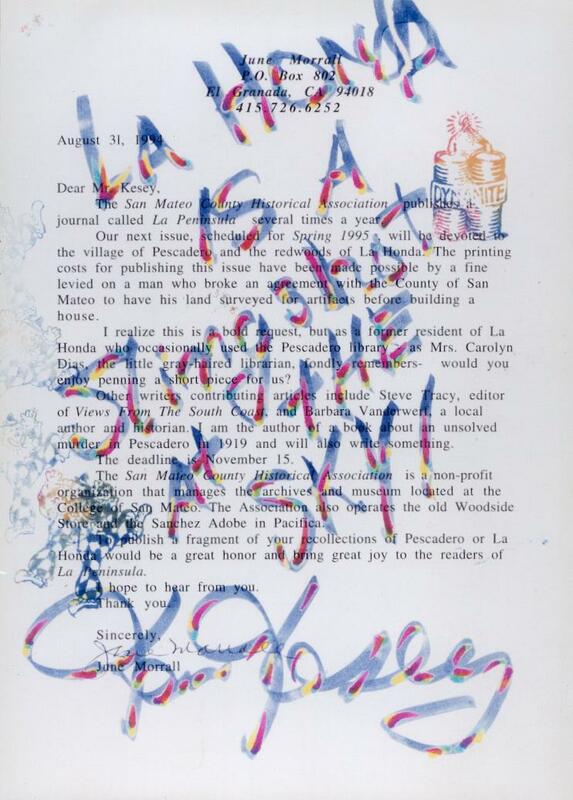 Kesey served a short sentence at the San Mateo County Jail and the Sheriff’s Honor Camp at La Honda. When released, he moved to Oregon with his wife, Faye where he died at age 66 on November 10, 2001. Kesey and the Pranksters must have been seen as a calamity by many La Hondans–and some who are alive still harbor bitterness toward them. But as the years roll by, and the memories of Kesey and the Pranksters cavorting in the beautiful redwoods have softened, their once controversial presence has evolved into local folklore. (Photo: Novelist Ken Kesey with what looks like the redwoods behind him). Several round-trip adventures from La Honda to New York followed and the remarkable school bus was immediately recognized in cities and towns across the nation. On one trip, the Pranksters shot 40 hours of film for a movie called “Intrepid Traveler and the Merry Band of Pranksters Look for a Cool Place.” (Where is that film today? Let’s get up on youtube!). When Ken Kesey and the Pranksters returned to their home base in La Honda to edit the film, it became evident that the lcoals were greatly disturbed by their new neighbors. There were reports of unfriendly rifle shots breaking the still of night and bullet holes in Kesey’s mailbox (which stood beside the road). (Actually that was pretty funny). Neal Cassady’s nickname was “Speed Limit” and he revved up the spray painted bus. It was a beautiful bus. Who wouldn’t want to get on board? Embraced by literary critics, “One Flew Over The Cuckoo’s Nest” was viewed as a microcosm of the wider world–where power is often abused–and the individual is suppressed for the sake of conformity. “Cukoo’s Nest” soon became a Broadway play and later an Academy Award-winning film starring Jack Nicholson. Although Kesey’s second book, “Sometimes A Great Notion,” a lengthy saga about a logging family, won some acclaim, it faile to ignite the literary excitement of “Cuckoo’s Nest.” It was “Cuckoo’s Nest” that brought Ken Kesey fame and a modest fortuna via royalties. Seeking creative isolation, he purchased a mountain hideaway, a rustic log and stone cabin on 2 1/2 acres surrounded by a majestic grove of redwood trees in La Honda in San Mateo County. They “goofed off,” smoked pot and listened to live rock n’ roll, much of it provided by a musical group that later became world famous as the Grateful Dead. Published in 1962, “Cukoo’s Nest” earned favorable reviews for its bitingly satiric look at a mental hospital where the inmates as well as their keepers wrestled with reality. Collecting material for the book commenced after Kesey completed a year long creative writing course on a Woodrow Wilson scholarship at Stanford University in the 1950s. A friend told the aspiring novelist that the Veterans Hospital in Menlo Park needed “paid” volunteers for experiments they were conducting on the effects of LSD and other hallucinogens. Kesey signed up, and when the program ended, he took a job as a night attendant in the hospital’s mental ward. 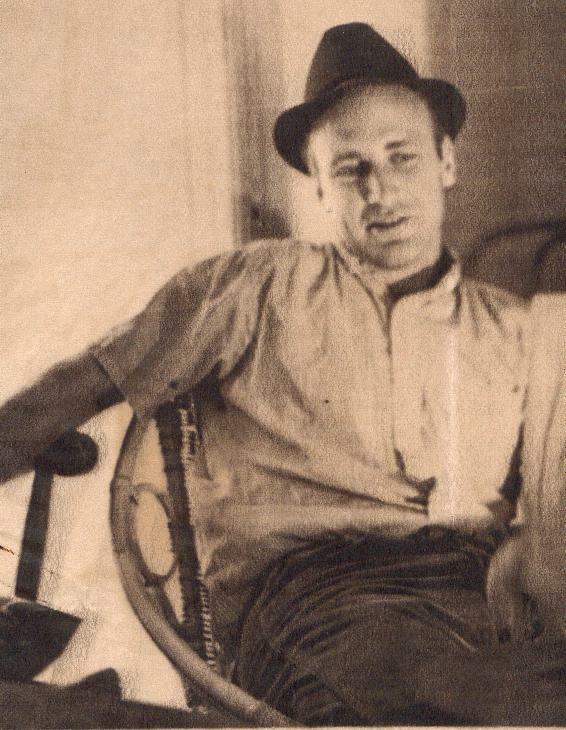 When Kesey quit that job, he walked away with all the ingredients for an extraordinary novel. He had observed a mental ward up close, got to know the patients and even ingested mind-altering drugs. I still vividly remember getting my copy of “One Flew Over The Cuckoo’s Nest”. 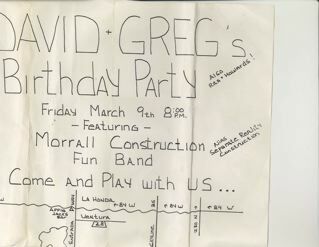 I was a kid living with my parents in San Francisco’s Sunset District. Back then I did all of my reading at the library. But I knew there was one bookstore with big glass windows on Irving Street. I could see the books inside but I had never bought one. My father– who had always wanted to be a writer– subscribed to Newsweek and read a review of Ken Kesey’s blockbuster. Without telling me ordered a copy from the bookstore on Irving Street. Can you believe it? This great book had to be ordered in those days! That was back in the early 1960s and all these years I have kept my copy of Kesey’s book. The El Granada Observer has just learned that Dave Norket http://norket.com/ has been living in Amsterdam for the past 20 years and will be visiting the Coastside at the end of the month. What happened to Bonzagni Lodge in La Honda? Was it bombed in the 1930s?